Nick for a while was an enigma to me, and unfinished jigsaw with some of the parts missing. A great climber and freindly chap who keeps himself to himself and has the drive and determination that very few people possess. It lead him to become on of the worlds leading alpinist and rock climbers, and certainly a man with a passion for out and out adventure. 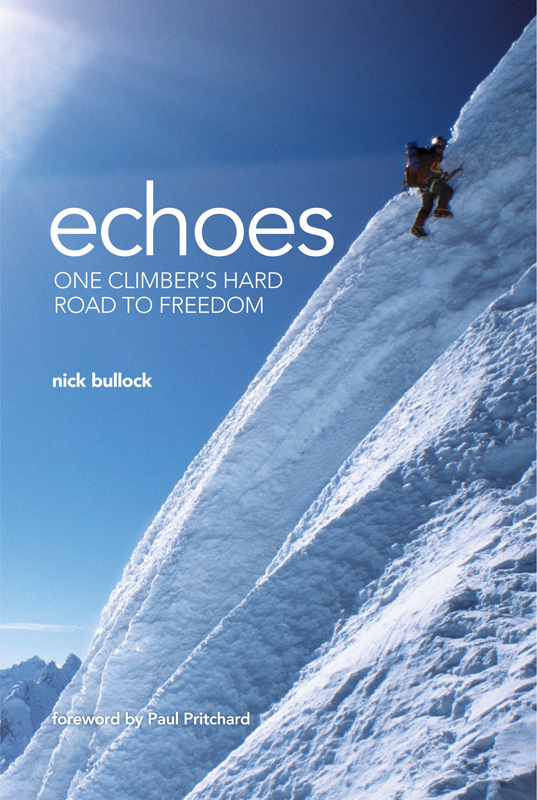 Then a few years ago Nick published an article on UKC, it was good, really good it was called Echoes and as I read it some of the peices of the jigsaw seemed to appear from under the couch. It was raw and heart felt writing. It reminded me of the early paul pritchard articles in OTE that eventually made up Deep Play. Nick has been pulling together those thoughts into what I can only guess will be a great book about his very interesting life in the mountains and serving as a prison officer. He has just put another excert on UKC and another from the chapter called Devotion on his blog. His book is due out 3rd September from Vertebrate Publishing.